Relationship: I am the homeowner and installed the faucet myself. 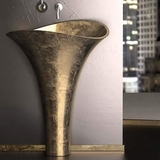 I wanted a unique waterfall vessel sink faucet for our powder room and I was unable to find anything that had the look and functionality that I needed, until I found Maestro Bath. I contacted Julie at Maestro Bath and purchased the Waterfall Brushed Nickel Bathroom Faucet (FAU-019-BNI). It is handmade in Italy and very well engineered. It clearly brought the project together and made for a stunning display. we ordered 3 faucets 2 for master bathroom and one for powder room the quality of the faucets is very high quality also ordered 2 sinks from Maestro Bath that are very uniquely shaped. The sinks were delivered promptly and were very well packed impossible to damage. I received them promptly . We absolutely love the sinks and they compliment our countertops wonderfully. The price, the service and the product were excellent . We are very pleased with our purchase. Thank You Maestro Bath you receive my highest recommendation. We Odered 2 sinks from Maestro Bath that are very uniquely shaped. The sinks were delivered promptly and were very well packed impossible to damage. I was able to install both sinks the same day I received them. We absolutely love the sinks and they compliment our countertops wonderfully. The price, the service and the product are second to none. We are very pleased with our purchase. Thank You Maestro Bath you receive my highest recommendation. I recently purchased the Jar Dual chrome kitchen faucet and could not be more happy with the product and customer service experience. MaestroBath does not have showrooms near where I live and I was reluctant to purchase a faucet online. However, after calling MaestroBath and speaking with customer service at some length (very patient people), I ordered the Jar Dual. In fact, I was torn between another MaestroBath kitchen faucet and the company offered to allow me to purchase both and return with free shipping the one I did not want. The credit reimbursement for the returned faucet happened within days. The Jar Dual is beautiful and works well with my modern kitchen, though I could see it working just as well with a transitional style. The sprayer is appropriately powerful and easy to grasp. 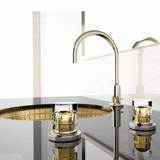 No negatives with this elegant, quality faucet. The faucet was shipped in a matter of days via UPS. Everything was well-packaged and labeled for our contractor. 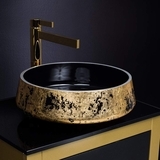 My new Alumix Round Gold Leaf vessel sink is absolutely STUNNING! The website photo in no way does it justice. I was concerned if it would be glossy enough and look like the real gold leaf it is. Julie reminded me of their 21 day return policy so I ordered it. Its appearance and quality exceeded all of my expectations and it will look gorgeous on my black countertop in my Asian-themed bath. Sep and Julie were so helpful in answering all my questions. I ordered it on Friday afternoon and it arrived with free shipping on Tuesday, incredibly well packed and double boxed. I'm writing this review because I'm so grateful to others who have done so. Without those reviews, I would have been reluctant to purchase an expensive sink online from a company I was unfamiliar with. My experience with Maestrobath has been top notch all around. We bought our powder room vessel sink, a PERT RHO Metal sink from MaestroBath and their staff found a matching drain as well. While that may sound easy, these finishes are hard to judge on the internet and smart people make all the difference. It arrived just when they said it would with very little lead time on our part. It was wrapped up in velvet bag - which sure made it feel special. The sink itself looks excellent and is exactly what we were looking for. Great company, representing some great products. We'll be using them again. I bought a faucet that is a work of art. I love it. I've been sitting and staring at it. Working with Julie from Maestrobath has been a pleasure. She had the faucet overnighted to me -- efficient, friendly, delightful woman to work with. Couldn't be happier. 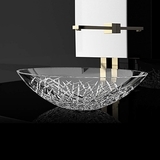 We recently purchased 2 ultra modern vessel sinks from maestrobath. The Atelier Venice sinks arrived promptly and exceeded our expectations. The customer service was professional and courteous. The silver and black design looks amazing in our bath and would recommend these folks to anyone looking to remodel their bathroom. I needed to find the "perfect" sink for our new powered room. Initially I ordered 3 sinks of interest from MaestroBath so I could see them in the space. I ultimately purchased a beautiful round silver leaf sink. My purchase experience was perfect in every way! The quality was as I expected from an Italian sink and it was only surpassed by the customer service I received. The lead time, shipping and packaging was outstanding. I looked for a very long time for this beautiful faucet that would be perfect for my new bath. I finally found it and it was everything that I'd hoped and more. This black waterfall faucet from Maestrobath is just perfect. When the faucet came it was packaged so perfect that it could not have gotten scratched and the shipping was very fast. the service I received was a 5 ***** star for sure and so is the product. If you're looking for the perfect faucet to go with any bath..........DO THIS COMPANY, YOU WON'T BE SORRY. During a recent reconstruction project on a sensational master bathroom, I purchased the Pert Infinity Starlight vessel sink from MaestroBath. I could not be more pleased with the results from a product satisfaction perspective as well as from a customer service experience. MaestroBath delivers on all accounts. Their products arrive in a timely manner and are received exactly how they are described on the website. You can shop with complete confidence and derive comfort in knowing if you are not completely satisfied, MarstroBath will accommodate your every need to create a positive experience. They are the real deal! I am delighted to be a thrilled customer and plan to do business with MaestroBath on future projects. I could not recommend them more highly. Relationship: I purchased several of their products. Working with Maestro Bath was one of my best experiences. I fell in love with their silver black vessel sink and called to ask some questions. They were polite, respectful, knowledgable and patient. They made suggestions on other items that would work well with the vessel sink and were absolutely correct. The product (all glass) was packed beautifully and arrived on time and in perfect condition. This company is totally professional and, I would recommend them to anyone who wants quality, service, and reliability. We ordered a sink from Meastrobath, it was delivered promptly in good condition. The sink did not exactly suit our needs and a quick call the the great folks at Maestrobath got us a prompt hassle free replacement and no restocking fee. The product was again delivered in great condition well packaged and is a quality is excellent. 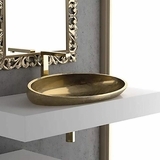 Maestro Bath offers some of the most interesting vessel sinks in the marketplace today. I love the materials they use, the shapes and the styles they offer. It's especially good to know that most of the items are available for quick shipment. And the people are very nice to work with. Most recently I specified the "Teknoform Mosaic Black" vessel sink in a powder room project that we are just wrapping up. It's really awesome, and the homeowners are delighted. I'll be sure to come back and post a picture when we are finished. 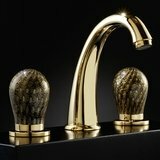 We ordered two faucets from Maestrobath, one for our kitchen (Slim D30) and one for our wet bar (Swing Snake), and loved them both. They both have a neat, contemporary look with clean lines, and the quality is top notch. Service and delivery were great�I highly recommend them. Purchased a crystal vessel sink from this company. Although a bit pricey, its quality exceeded my expectation and justified the price. As far as shipping, packaging, and service, I would rate them A+, will purchase again from them, and will recommend their company. I ordered the Venice Silver/Black sink as well as two modern bathroom faucets and they were both even nicer in person. I dealt with Sep the owner and his service was spectacular. He delivered imediately and sent me the tracking information with my order. The packaging could not have been more secure. I would highly recomend this company and there beautiful products. I will definetely be ordering from them again. Greetings from Cape Town What a fantastic experience dealing with MaestroBath and in particular with Julie. We are doing renovations to our bathrooms in our home overlooking Table Bay. We were looking for something special in terms of wash basins and after much trawling, the net found MaestroBath that had just the look we wanted but we are on the other side of the world! Not a problem to the ever friendly Julie. After answering every question to our satisfaction, we placed the order on a Friday at 5 pm and the basins arrived 8 day's later on a Saturday morning. They are exactly as described, beautiful, unique and just the look we wanted. They are the Alumix Vogue Brown and Black. We have had a number of interior decorators through the house and they all commented on the basins.I have never bought such an expensive ( our weak currency make them pricey ) and important part of a project without feeling or seeing it in real life first , but can assure anyone considering this companies products that they are exactly as described. I recently bought a Mosaic Black bathroom sink from maestrobath. The sink was shipped out the same day I placed the order as I was promised. I would say this company has a world class customer service. I am very pleased with the outcome as my sink looks even more elegant in person. The company were very helpful and had quick responses to my questions, re purchase and product, shipping. The product was of a fantastic quality, The photo had depicted the product exacly. A very proffesional company. Wonderful customer service with absolutely beautiful product. 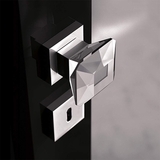 These fixtures are truly works of art. I ordered the Alumex sink and it was even more beautiful in person. The product was shipped immediately...just what you want in a transaction. Spectacular Interaction. The product was better than the pictures. If I had know about this product I would have used it for every sink in my house. VERY reasonably priced. Extraordinarily fast shipping. The merchandise I bought was better than I expected. The company provided with prompt delivery and a wonderful service overall. I would recommend to everyone.